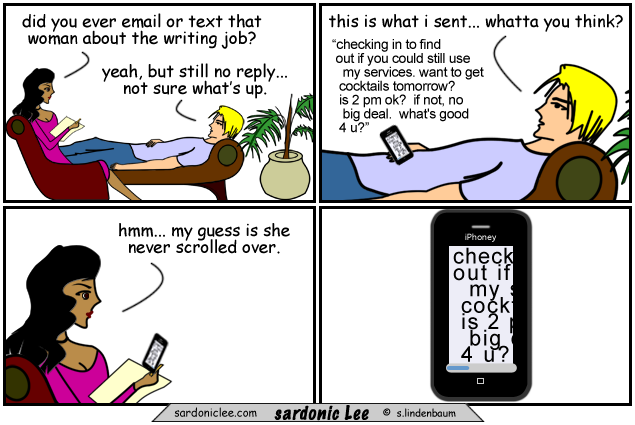 probably no reply yet searching on adult sites for your “resume”… LOL! I haven’t laughed this hard in ages… over zoomed ei?? Sorry, I was feeling a little testis that day. Isn’t there an app for that? Scrolly sh*t that’s funny! My iPhoney 4 does the same thing. but is currently on temporary hiatus due to savage vandals. please see latest 'update' post for details.